Learn curved hand piecing, applique skills/fusing methods and free motion quilting techniques in a small landscape quilt, 8” x 10” + borders. These printed fabric kits have the cutting and sewing guides printed on them. They are quick to start and make a great gift, or souvenir while you are learning the fun art of landscape quilts. Perfect for beginners! Order specially designed fabric kits online by April 1, 2019. 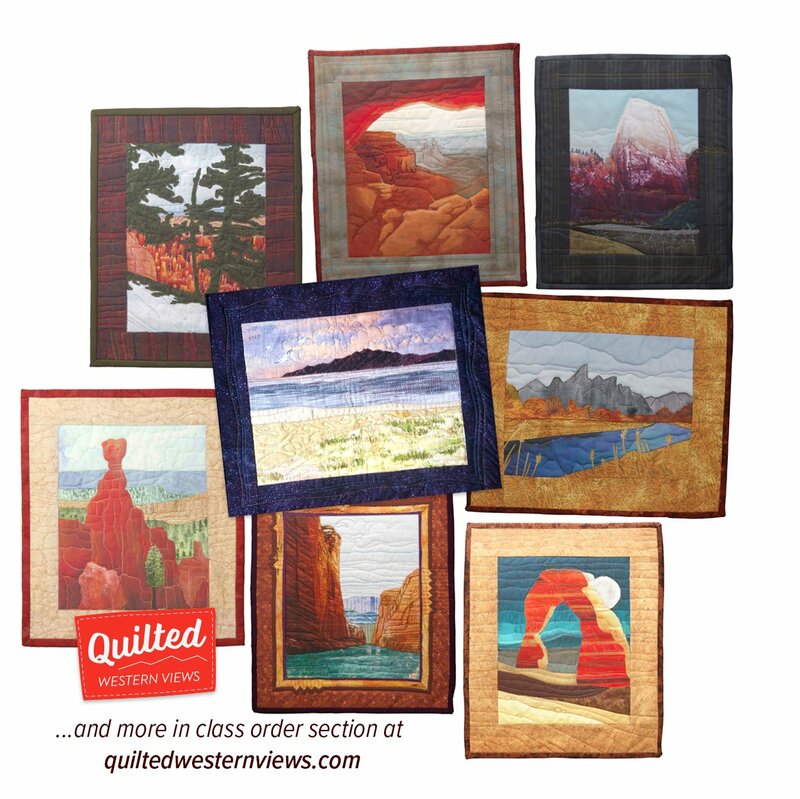 You can preview the scenes at quiltedwesternviews.com in the Class Order Section. Please feel free to e-mail Karie at quiltedwesternviews@gmail.com with any questions. We will only be focusing on completing one scene in class, but you are welcome to purchase additional ones for sewing outside of class.